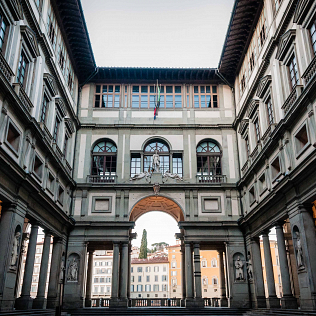 During the autumn the Uffizi Gallery is going to open - in limited opening hours and on reservation - some areas of Vasari\'s complex, usually closed to the public. The visits are possible thanks to the availability of the Uffizi supervisory staff. On October 5 the visits to the Contini Bonacossi collection are going to begin. During the twentieth century, Alessandro Contini Bonacossi put together a unique series of works, one of the most important of the century. They are part of the collection: the Martyrdom of Saint Lawrence by Gian Lorenzo Bernini - the only sculpture by the master in Florence - works by Andrea del Castagno, El Greco, Savoldo, Goya, Velasquez, Giovanni Bellini, but also furniture and ceramics, dating a period from the fourteenth to the eighteenth century. On October 6th the visits to the former church of San Pier Scheraggio are going to begin. In addition to the archaeological remains dating the first century A.D., here you can admire the frescoes by Andrea del Castagno, part of the church frescoes, dating from the thirteenth century. There are also works by artists of the twentieth century, such as Alberto Burri, Guttuso, Marino Marini, Corrado Cagli and Venturino Venturi.